Yamaha boss Lin Jarvis believes the 2013 MotoGP campaign, which kicks off in Qatar on Sunday night, will be provide more exciting and entertaining racing than last season. Excitement and anticipation ahead of the season opener at the floodlit Losail International Circuit in Doha has been building for weeks, with reigning world champion Jorge Lorenzo, Valentino Rossi and Repsol Honda duo Dani Pedrosa and Marc Marquez all serious title contenders. 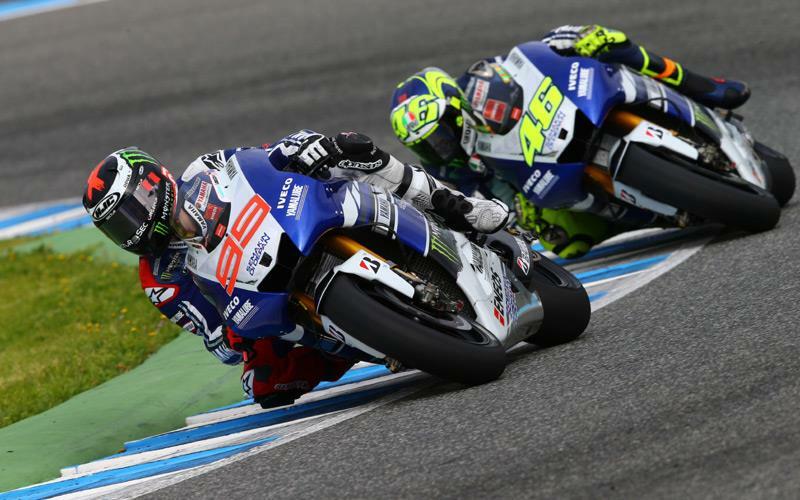 The last 28 MotoGP races have been won by Lorenzo, Pedrosa or retired Aussie Casey Stoner, but Yamaha boss Jarvis is predicting a more exciting fight in 2013. The last time a race was won by a rider other than Lorenzo, Pedrosa or Stoner was when Ben Spies took his one and only MotoGP victory at Assen almost two years ago, but Jarvis told MCN: “I think it is going to be an extremely exciting season and more so than last year. "Having Valentino back on a competitive bike is great for the sport, for us and more so for him. Jorge is on top of his game and our bike is definitely better than last year. "Honda has done great work and we saw how strong Dani was in the last half of 2012. And now we have got Marquez as the newcomer that is right up to speed. I think we are going to have some super racing. For all the news and views from the first race in Qatar, see the April 10 issue of MCN. Casey Stoner says he's expecting the 2011 MotoGP world championship fight to be a wide open contest.